How about this for an idea? 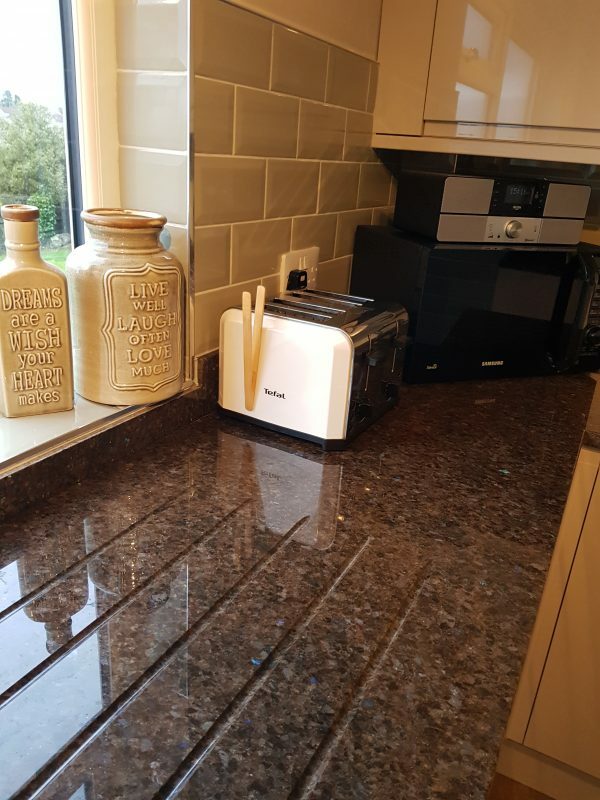 – Two completely different granites in the same kitchen…… our client decided to push the boundaries that little bit further and try just that idea and look how fantastically well it worked out!. 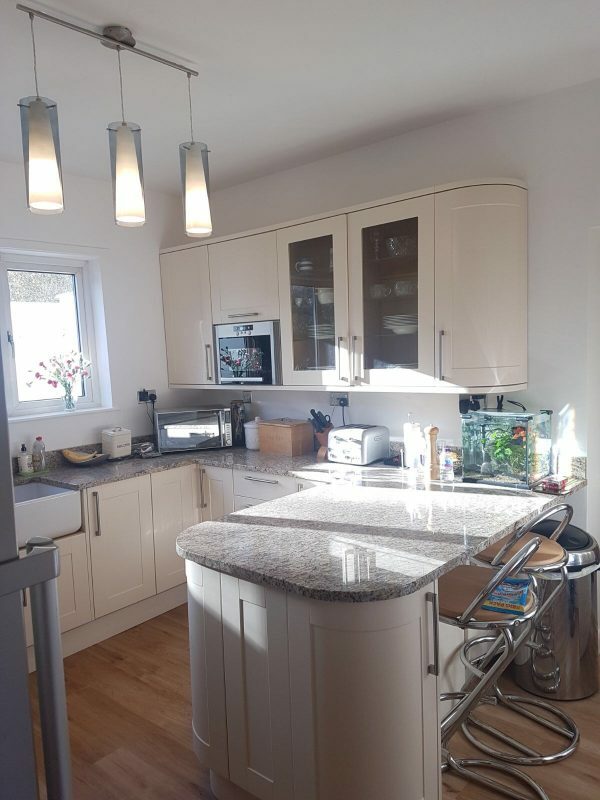 Ivory Fantasy for the outside edges with its’ soft creams, greys and muted gold colours works perfectly with the bold, striking colours of Fusion Black on the central island. 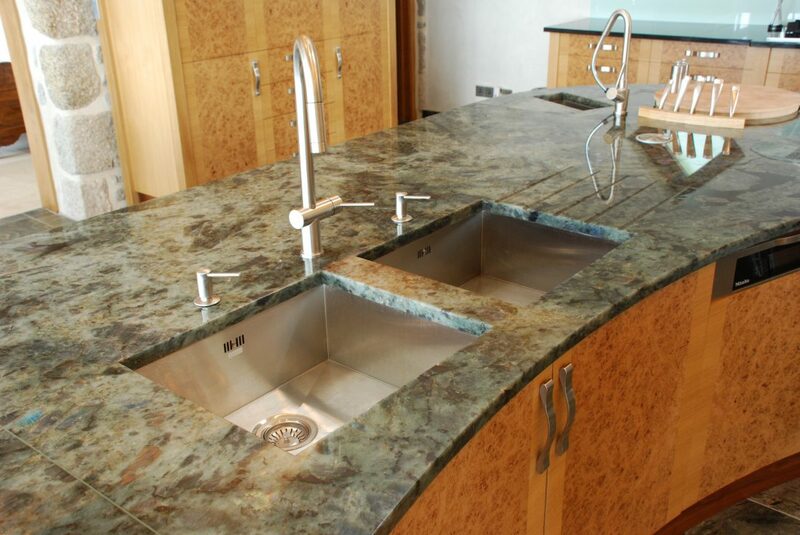 Clever templating of the Belfast sink hides the overflow and makes this truly a statement piece. 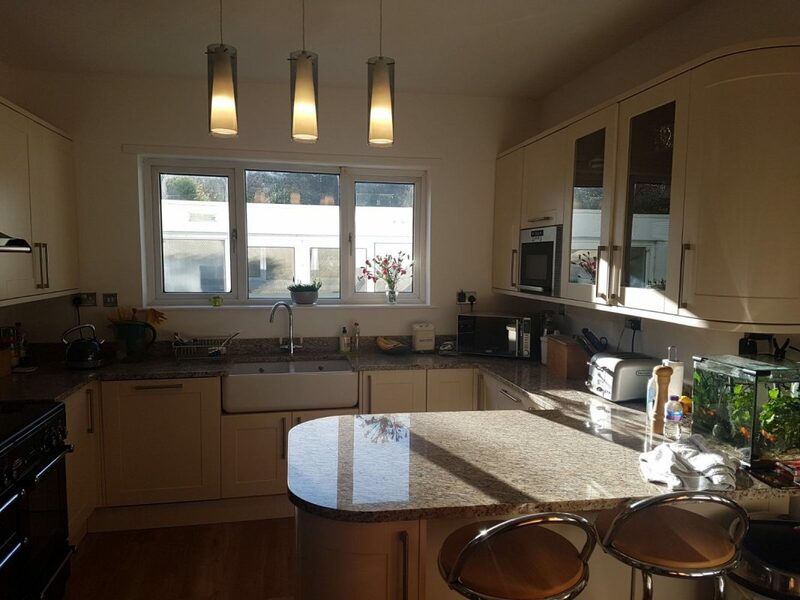 What a beautiful kitchen! 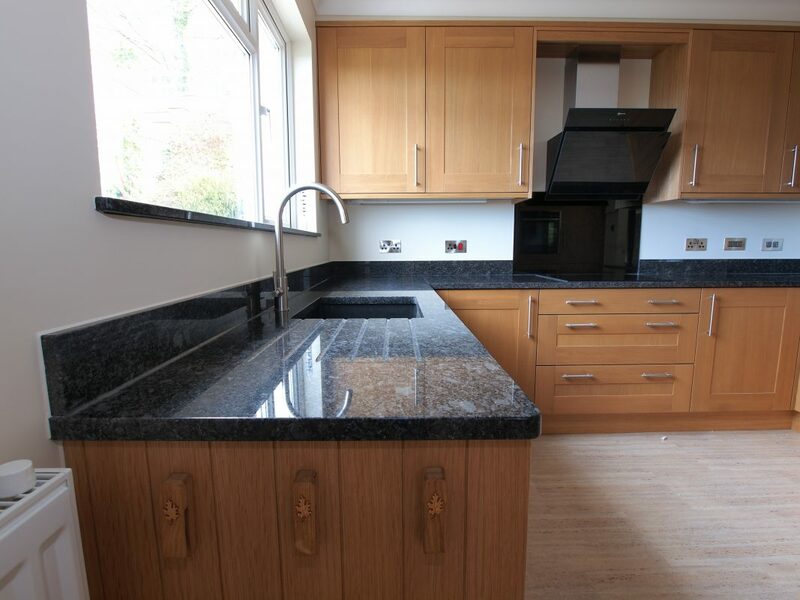 Just see what can be achieved with glorious granite. 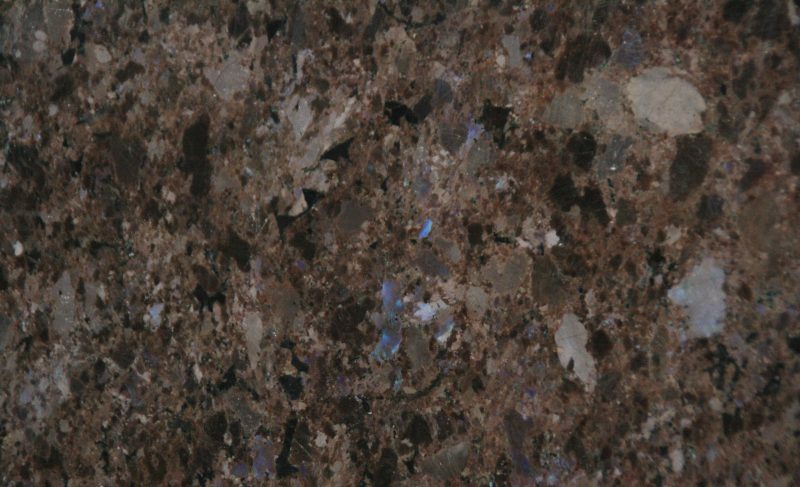 Beautiful and luxurious Labrador Antique granite hails from Norway and with it’s soft hues of brown interspersed with flecks of blue and green, it truly is a joy to behold. Often mother-of-pearl makes a brief appearance too! 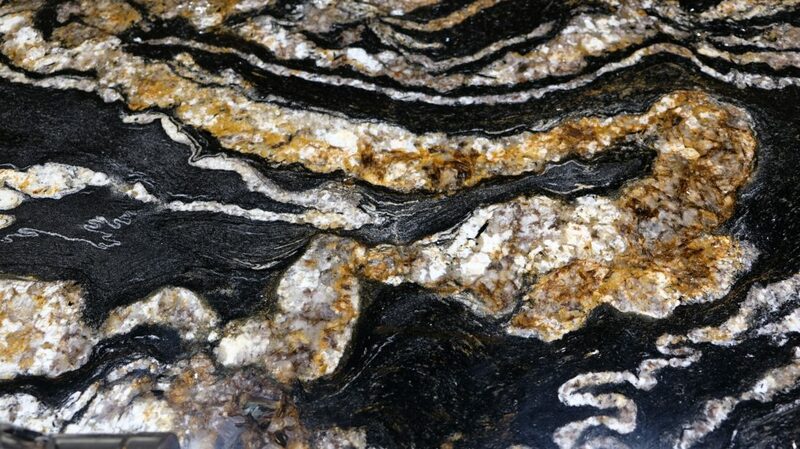 At Plymouth Stone we are often called upon to work our wonders with this popular granite. 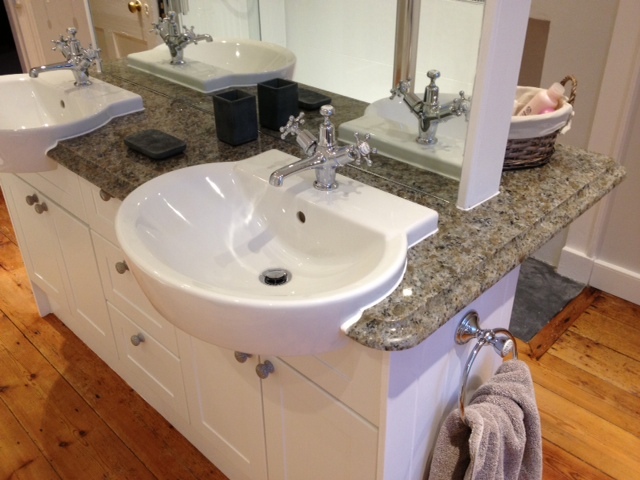 Looking at home in both the kitchen and the bathroom this versatile stone is a no brainer. 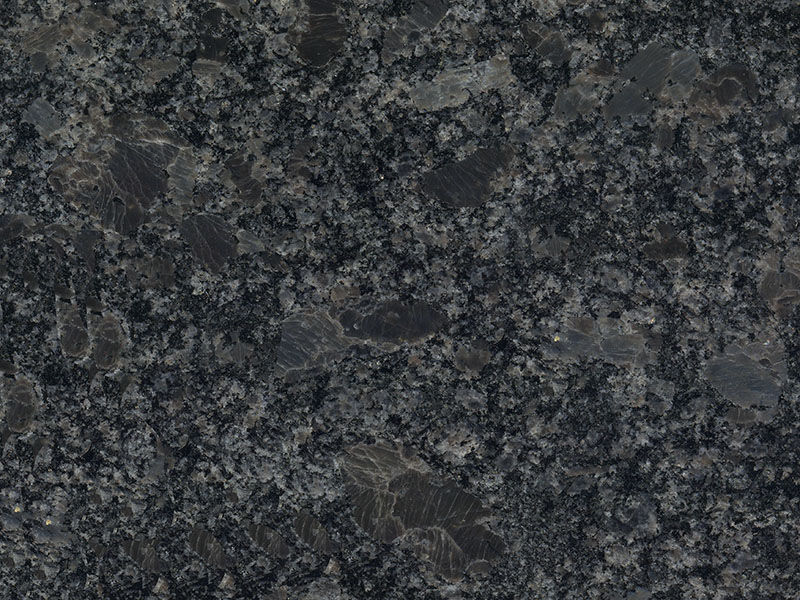 With grey being so on trend right now, why not consider Steel Grey granite for your new kitchen worktops. 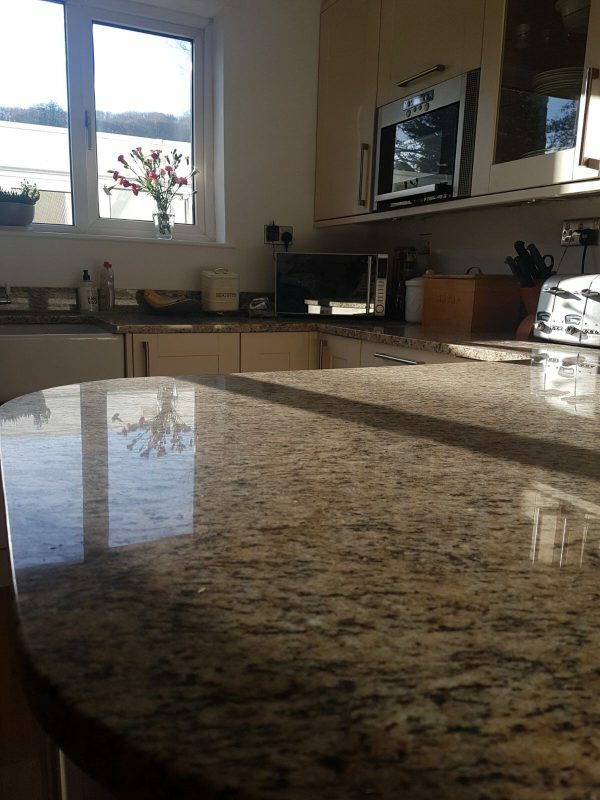 This beautiful Indian grey granite with many shades of greys and silver is durable and uniform in both pattern and colour. 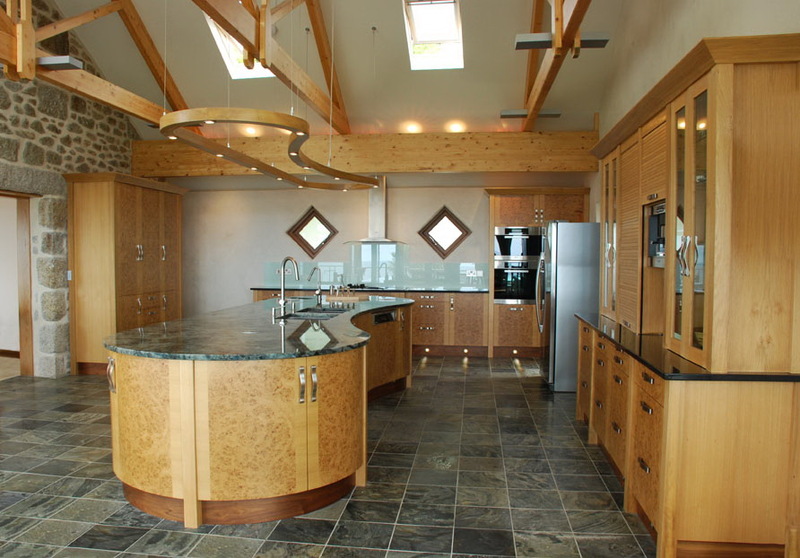 It goes with pretty much everything from traditional shaker style cabinets to the most contemporary of handless units. 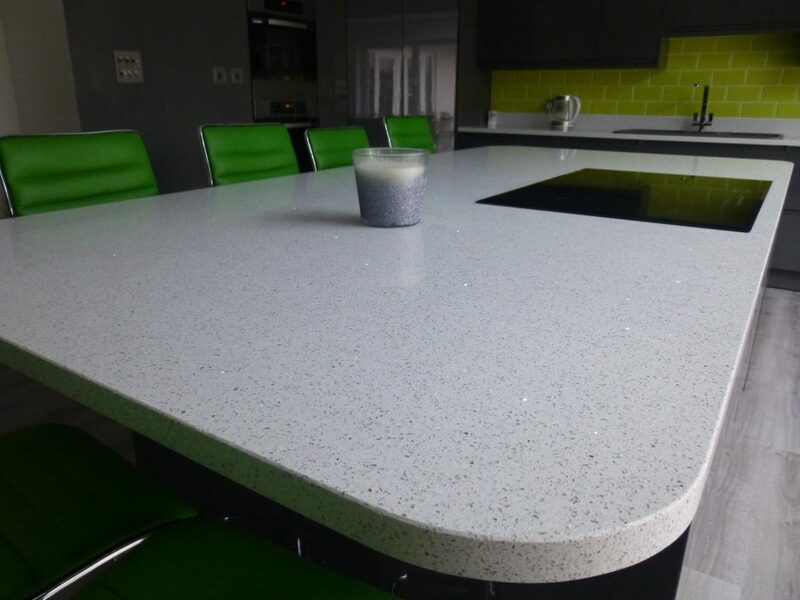 Shown here in a polished finish, Steel Grey also looks stunning in a soft leather finish, a honed finish and also a Carezza finish, a combination of leathering and polishing. 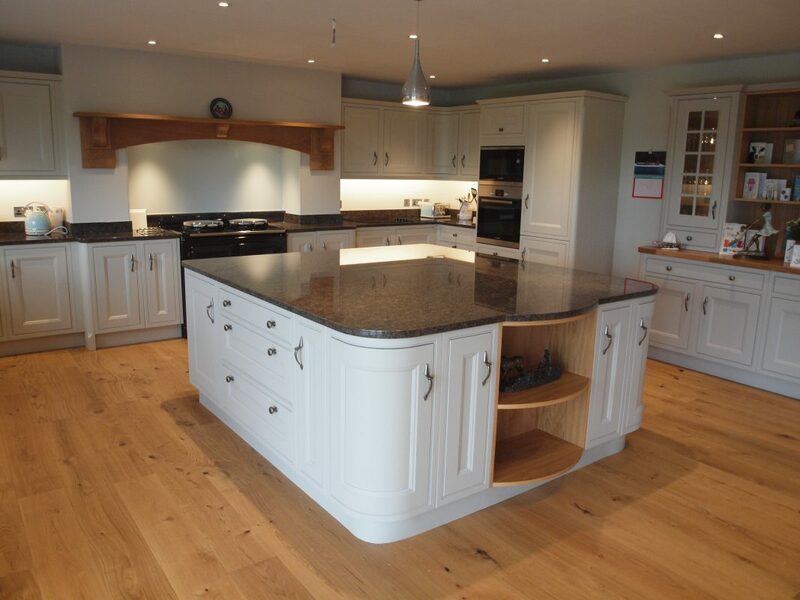 All these finishes can be seen in our showroom. 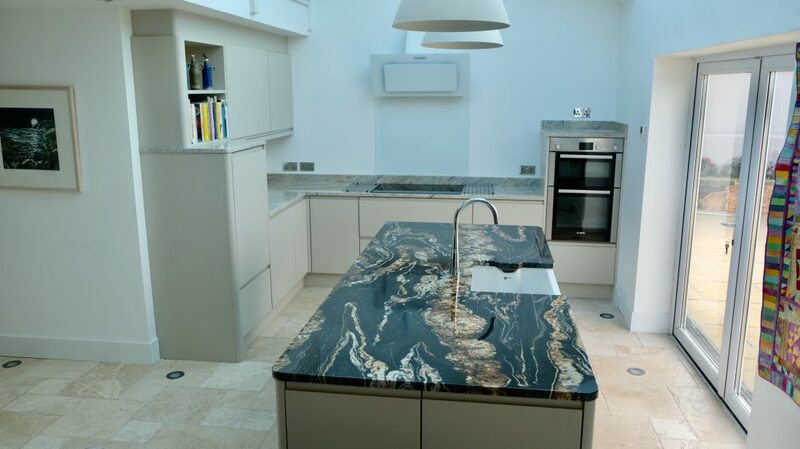 Marble is the best known and most appreciated metamorphic rock, and its beauty is characterised by veins and bold colours. 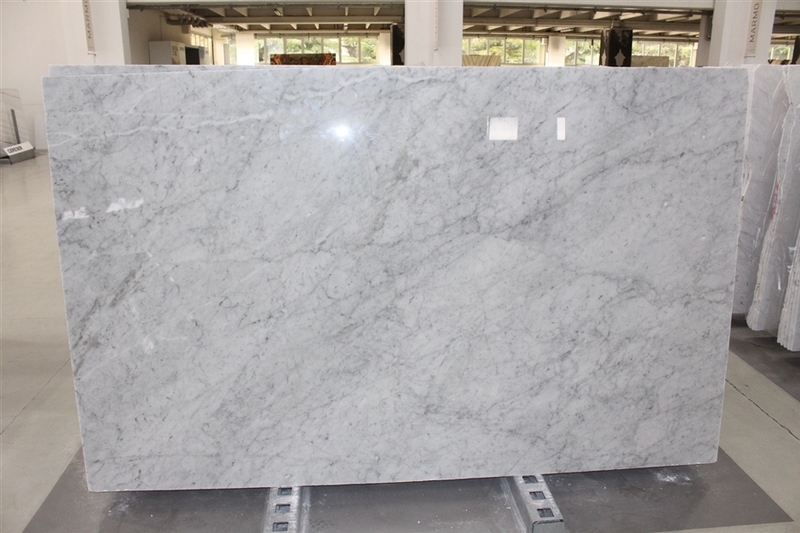 Pure marble, consisting of mineral calcite is white – impurities in the mass give the material veiny, patchy, patterned look. The colour spectrum created by these impurities is wide, ranging from grey and pink to green, brown and black shades. White Carrara marble is perhaps the most widely used, even Michaelangelo created his sculptures out of this classic and beautiful stone! 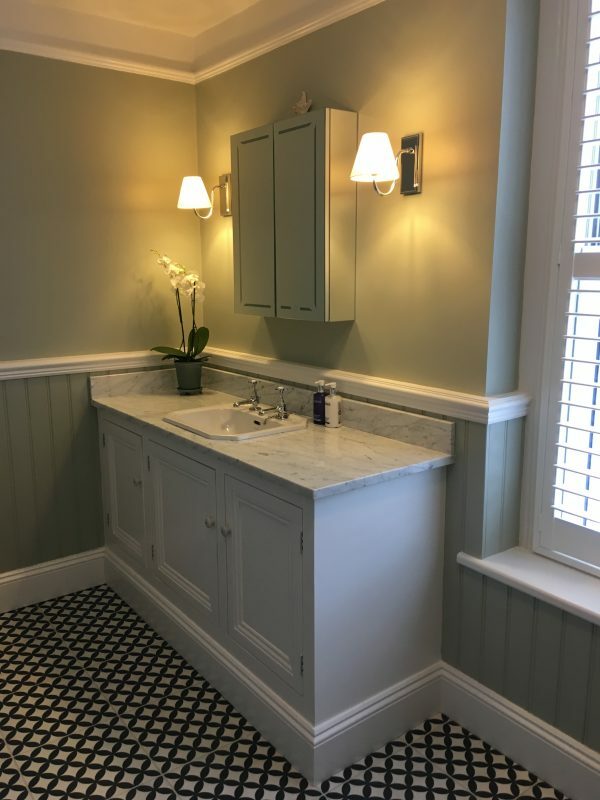 At Plymouth Stone we are asked for White Carrara marble for vanity tops, tiles and even kitchen worktops. 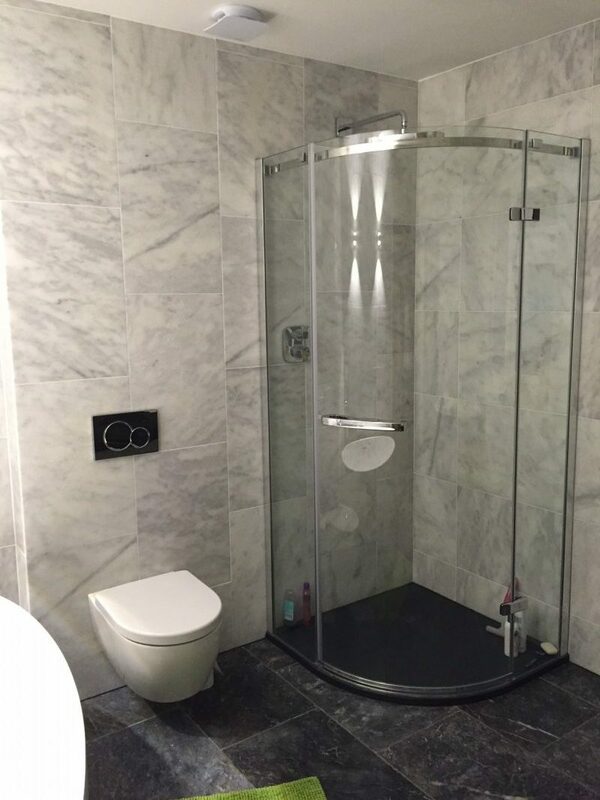 Marble is not always the best choice for the busy household as it is a very porous and easily scratched surface. 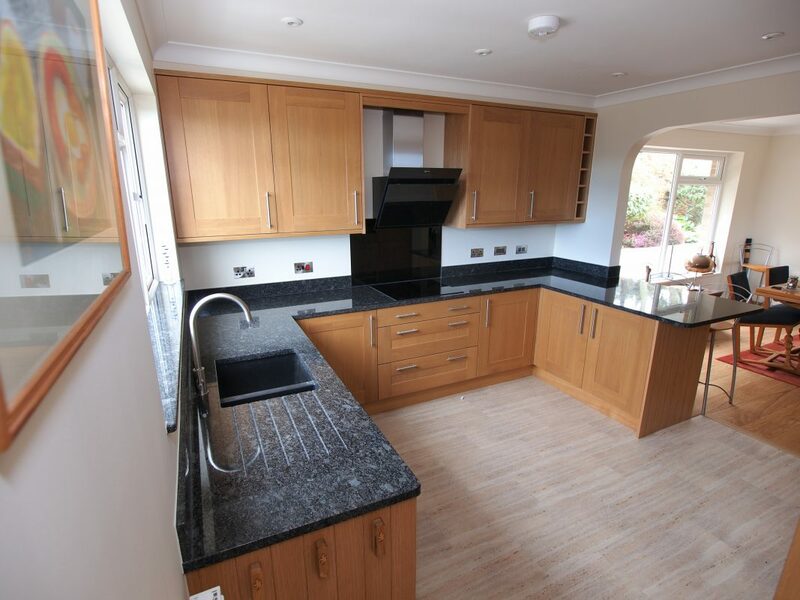 However, with careful use and maintenance nothing will beat it for sheer beauty and elegance. 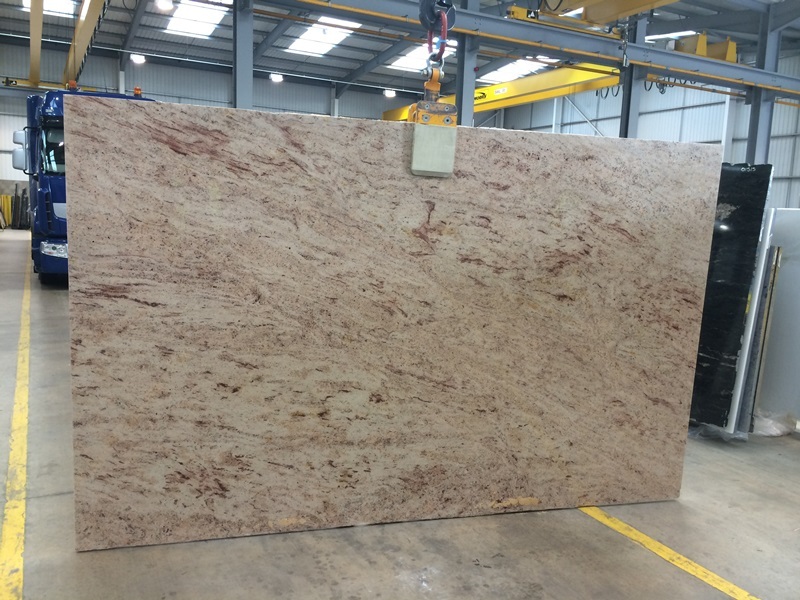 We select all our marble from carefully picked stock as each piece varies enormously. After you have approved the slab choice by way of digital photos you are invited to come and view it once it arrives at our yard. 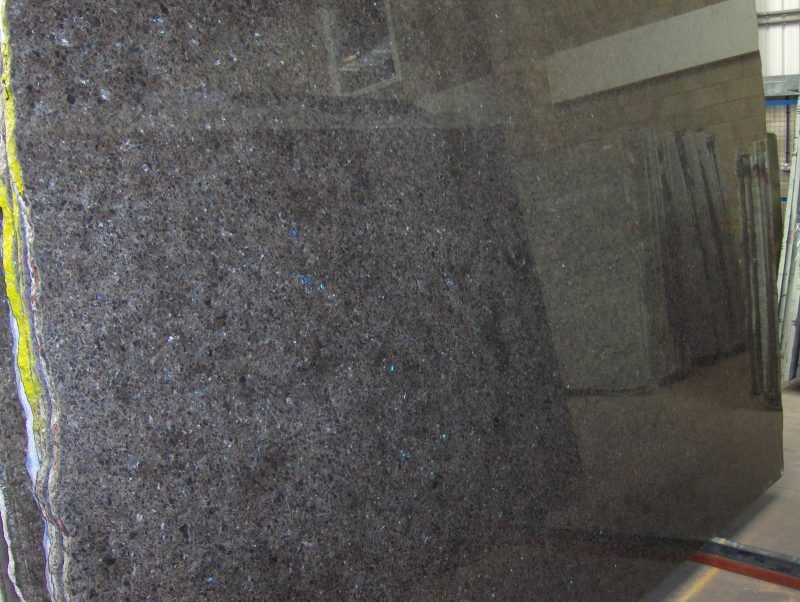 We will then lovingly turn your slab into a piece of work fit for the finest art gallery! 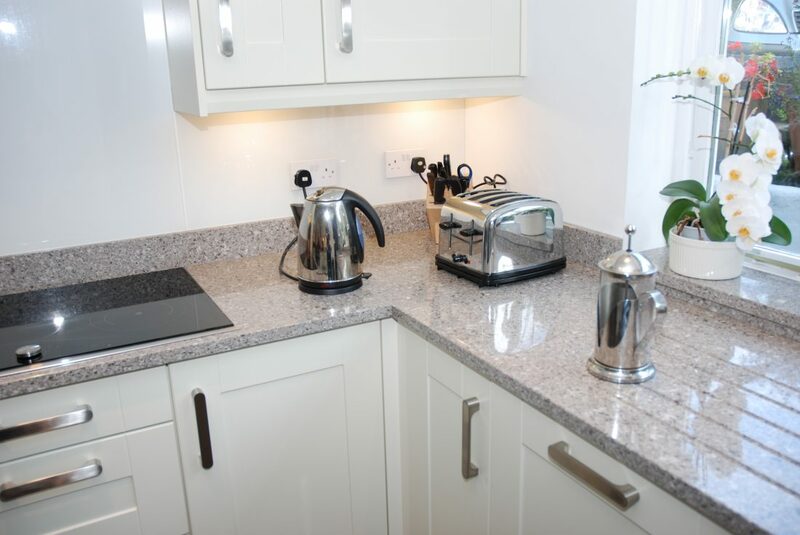 A way to introduce a little sparkle to your kitchen is to use Blanco Stellar Silestone. 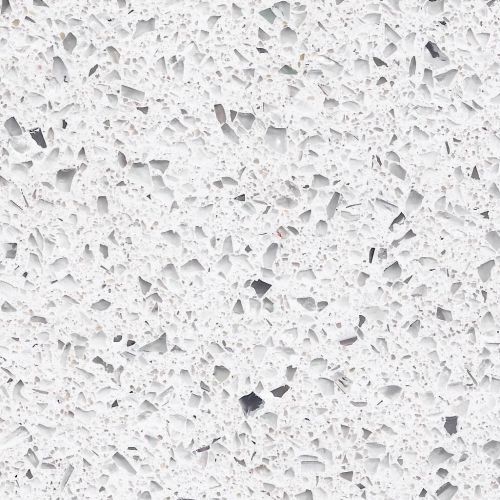 Silestone is one of the many quartz surfaces we offer at Plymouth Stone. 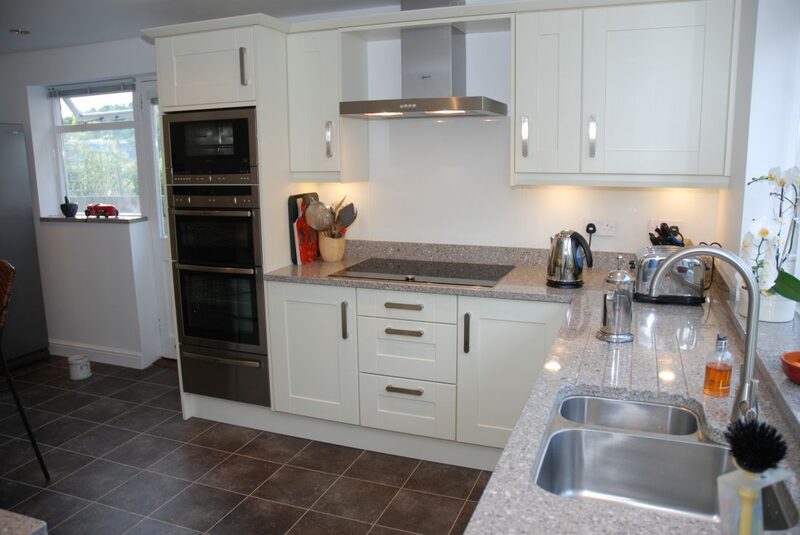 Being a man made material; quartz is non porous and highly resistant to scratching or staining. 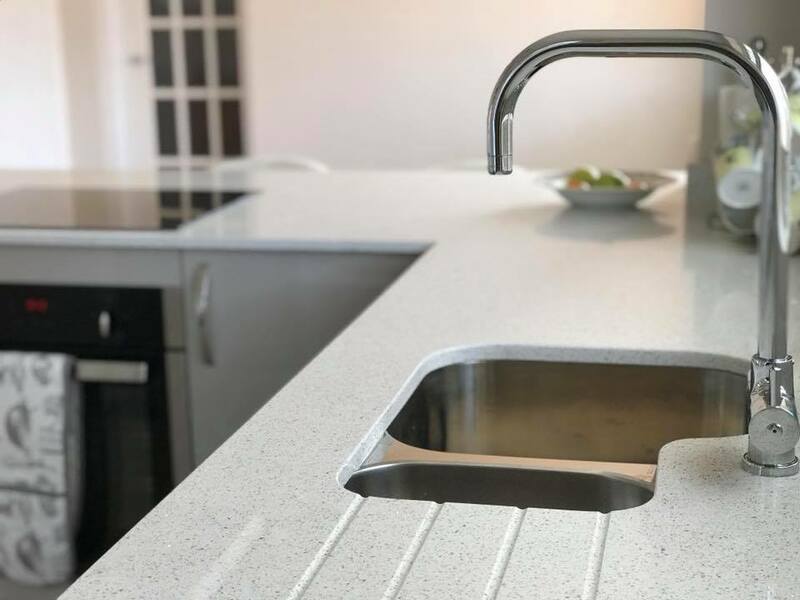 Virtually maintenance free and available in a huge variety of colours, quartzstone worktops make a superb choice for the busy household. 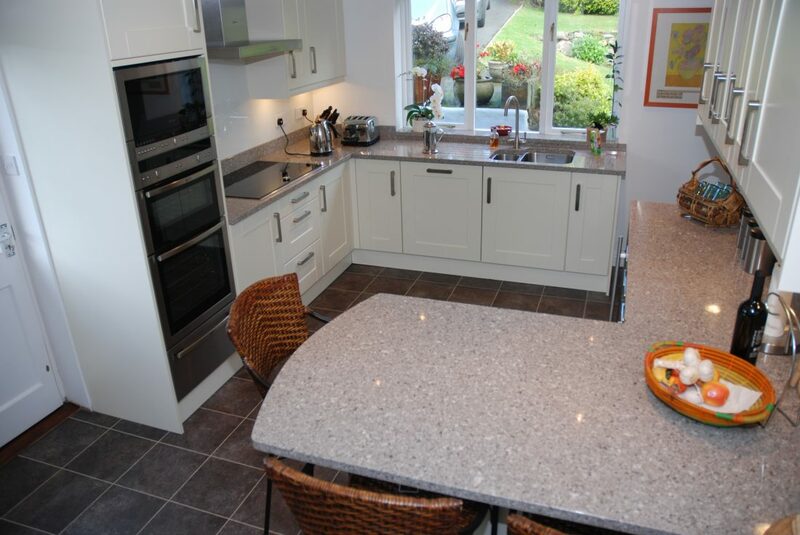 Lighter coloured worktops are becoming more and more popular and none more so than the white worktop shown here. 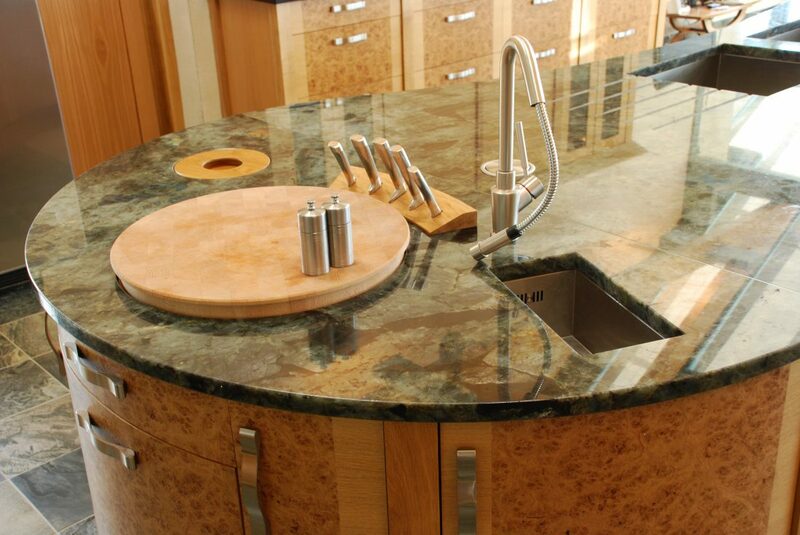 The mirror chips bring this worktop to life and make this pretty stone quite a statement piece. 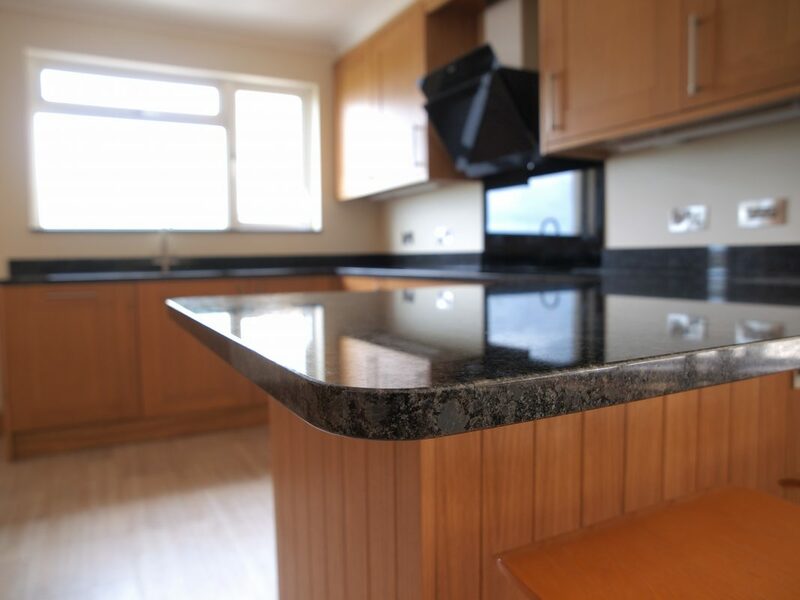 Recently completed are these beautiful, warm granite worktops. 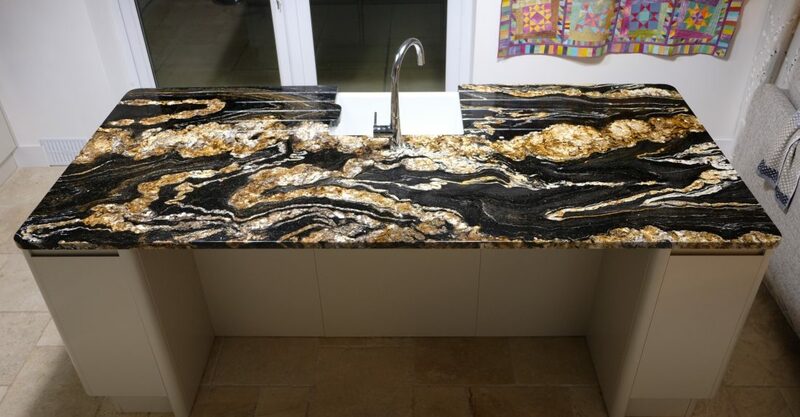 Giallo Topazio is a truly versatile granite with warm gold and brown tones and underlying grey flecks. 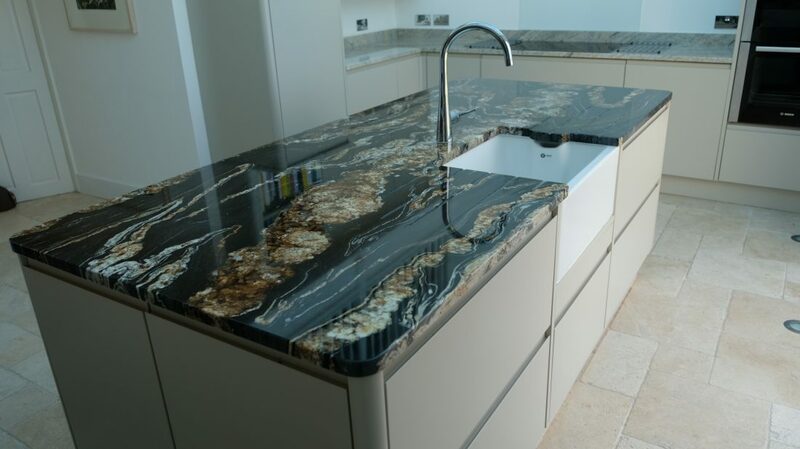 Gialllo Topazio granite will lend itself to all styles of cabinets and all colours. It creates a feeling of warmth and elegance. A true delight to behold! 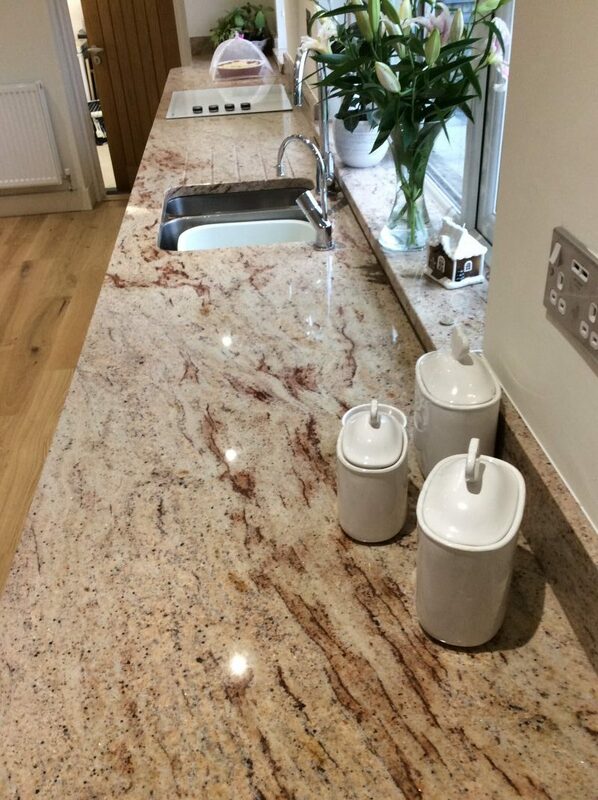 Beautiful Shivakasi Pink granite shown gracing our clients lovely kitchen. 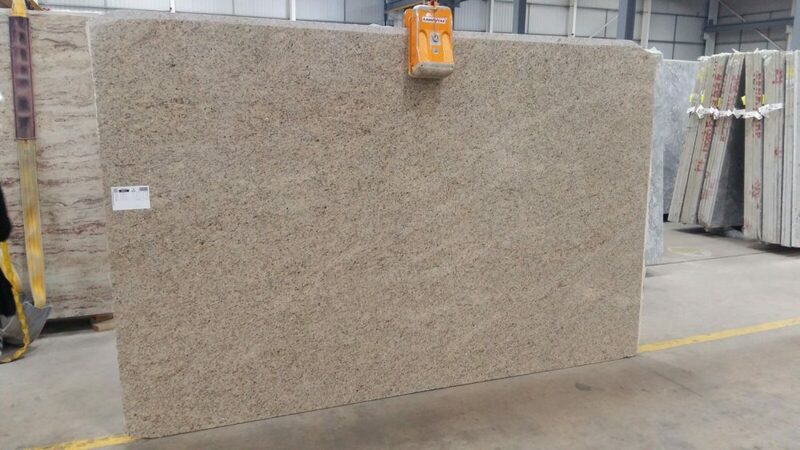 An Indian granite with striking red and pink markings, along with a cream base this gorgeous material looks fantastic with cream or natural wood units. It’s warm and colourful and will lift the darkest of spaces. 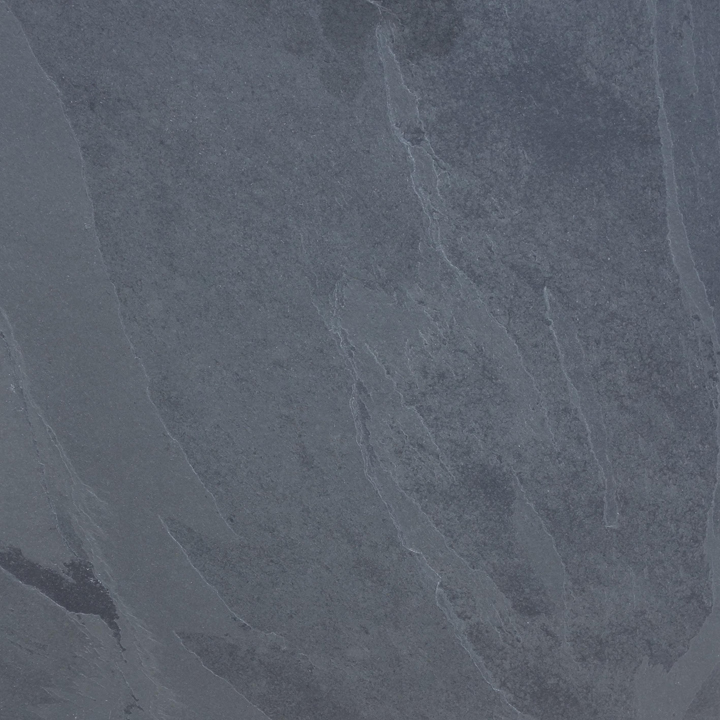 Shivakasi Pink often comes in large slabs so longer lengths of worktop are achievable. 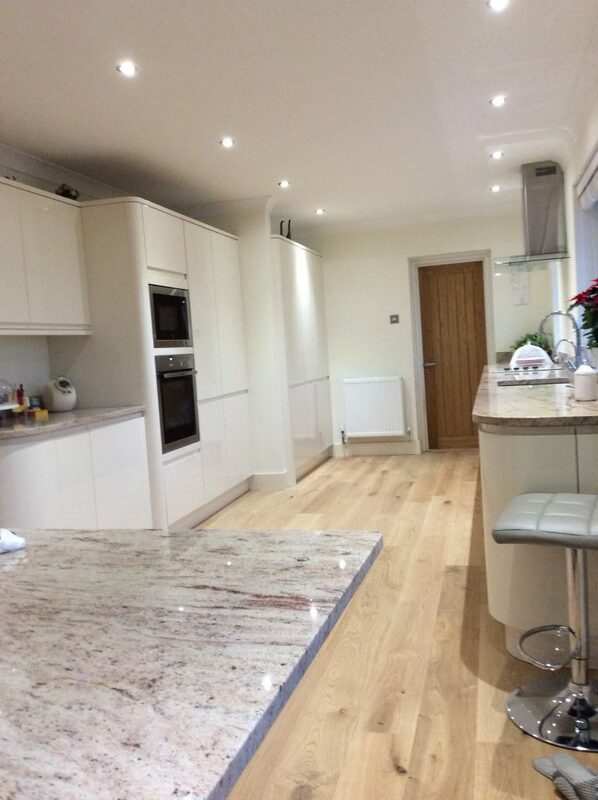 Our client loved the finished look of her kitchen. Something a little bit special! 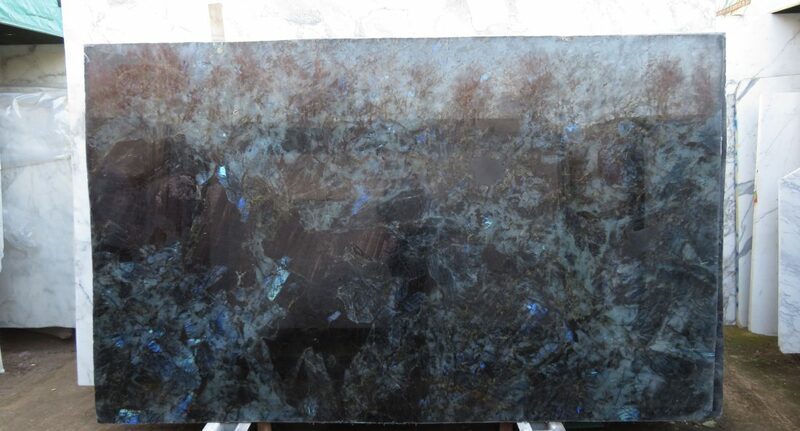 A recently completed project using Labradorite Blue Australe, a stunning granite from Madagascar. It’s very difficult to stress how beautiful this material is and the pictures just don’t do it justice. 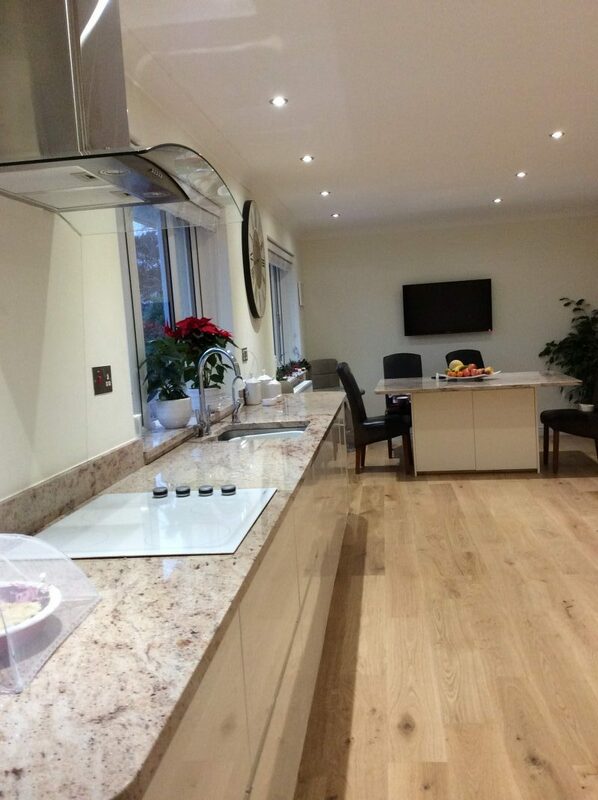 We were very proud of this one, as of course we are about all of our worktops. Enjoy! 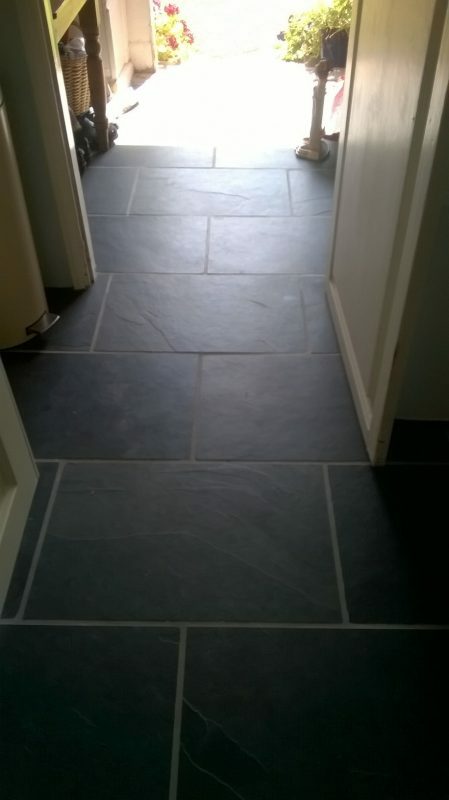 Natural slate is a perfect choice if you are looking for a hard wearing and rustic look to your floor. 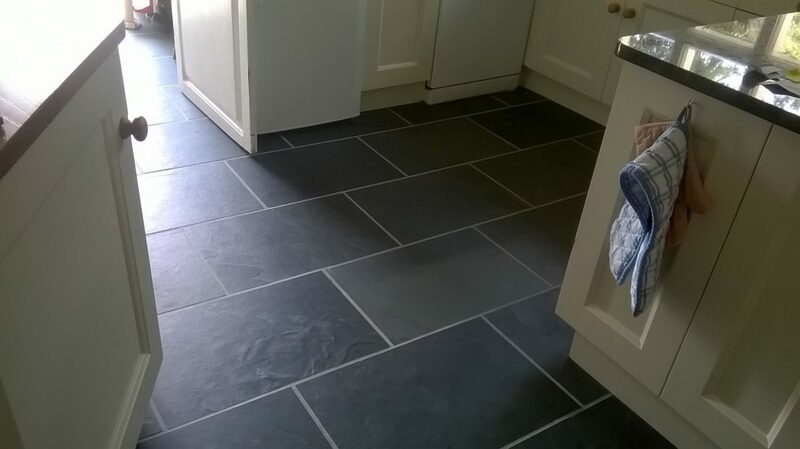 Brazilian Slate comes in three shades; Black – the most popular choice, Grey and Green. 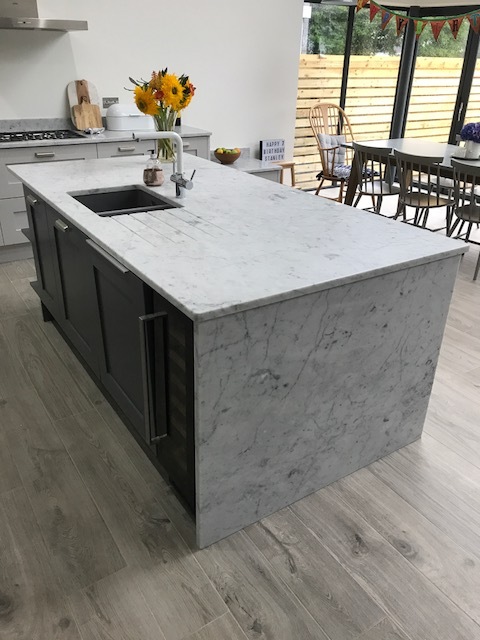 Our slate tiles are calibrated – this means that all the tiles are the same thickness (10mm), there are a vast array of sizes from 200mm x 200mm to 1500mm x 1200mm – although the larger format tiles are often 20mm thick. 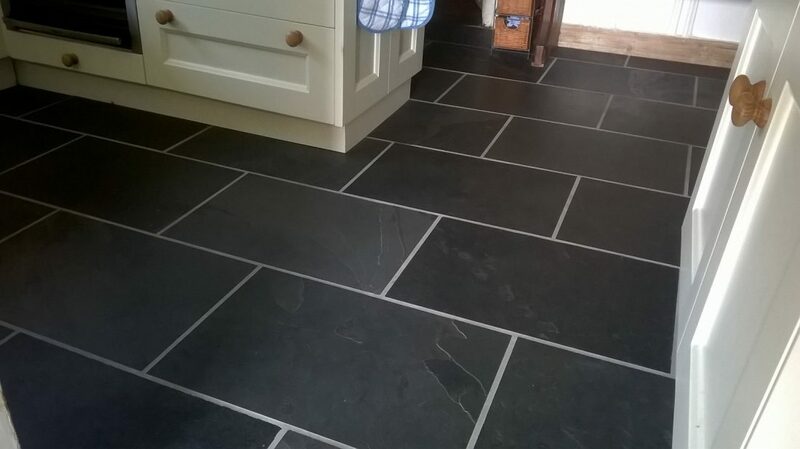 Cleft means that the surface of the tile has a textured and matt finished, this can be enhanced using a Slate Seal solution to produce a shiny finish or a Slate Oil which produces a natural sheen, or of course you can just opt for the matt finish they already have. Delivery is within 5 working days and is directly to you, all you have to do is choose the size and colour! 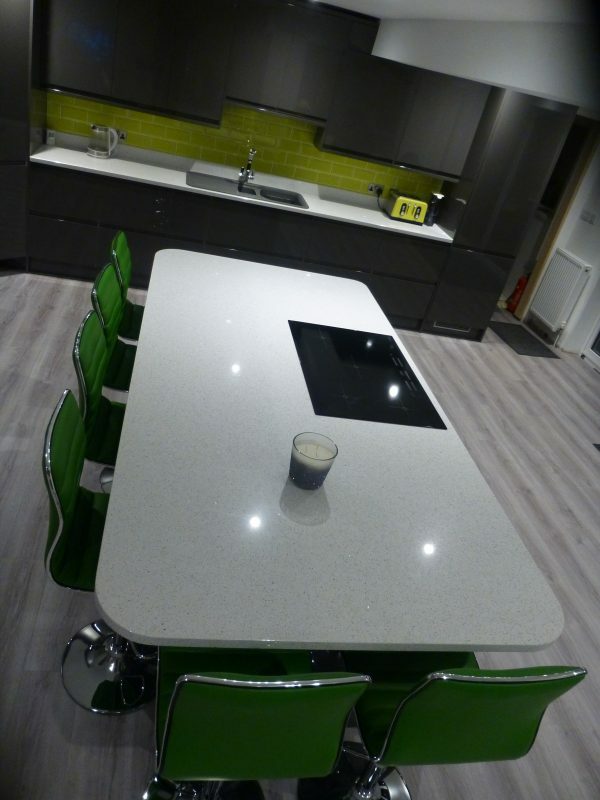 Silestone have a fantastic array of colour choices and Alpina White is one of them. 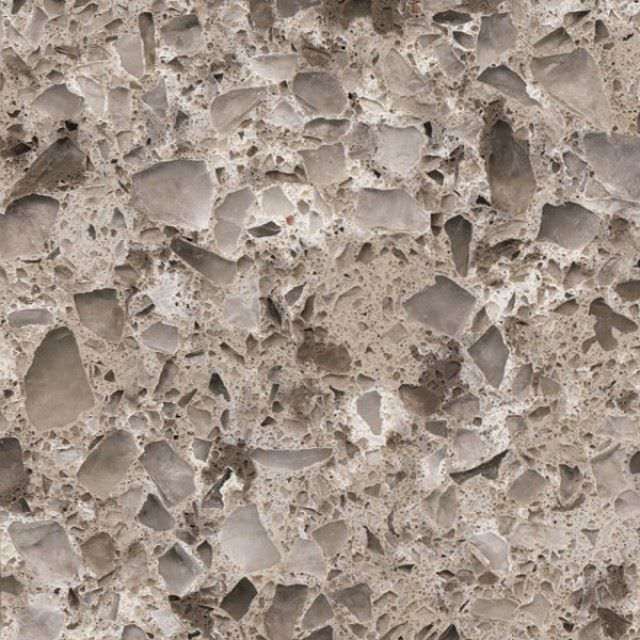 With a combination of shades of grey and creamy white, this versatile quartzstone will look at home on all styles of kitchen cabinet.